American Property Loss NC Public Adjusters are available to do a complete review of your North Carolina earthquake damage insurance claim. 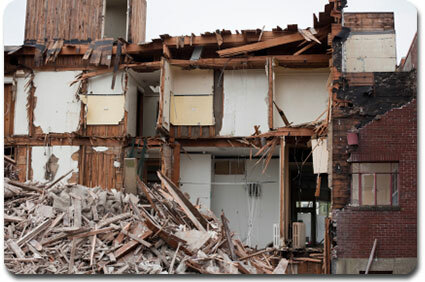 From initial on-site earthquake property damage estimates to reviewing your insurance company adjuster estimates for completeness, American Property Loss Illinois Public Adjusters are experienced and ready to get your life back in order after home Illinois earthquake damage. We realize that North Carolina is not a hotbed of earthquake damage, but North Carolina does get occasional earthquake activity in the western side of the state. A slight quake was felt in our Raleigh area offices on Aug 23, 2011 but was too weak to do any damage. The expectation for North Carolina earthquakes is that, at the worst, we may see some cracked walls, fallen chimneys and similar damage. 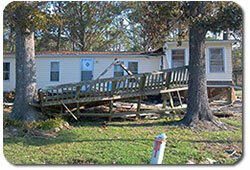 While not common for North Carolina, people wonder if their North Carolina homeowners insurance covers earthquake damage. Earthquake insurance is a form of property insurance that pays the policyholder in the event of an earthquake that causes damage to the property. Most earthquake insurance policies feature a high deductible, which makes this type of insurance useful if the entire home is destroyed, but not useful if the home is merely damaged. Rates depend on location and the probability of an earthquake. Rates may be cheaper for homes made of wood, which withstand earthquakes better than homes made of brick. The East Coast gets earthquakes, but usually smaller ones and is less prepared than California or Alaska for shaking. After any earthquake, particularly a major damaging earthquake, check for any gas leaks or electrical damage. If you smell or hear gas, turn off the gas at the meter and contact the gas company. If you see sparks, frayed wire, or smell hot insulation turn off the power at the circuit breaker box and contact the electric company. When the shaking subsides, check yourself and others for injuries. If significant earthquake damage has occurred, make sure that no one is buried under rubble or debris. Listen for cries of help. If telephones (landlines or cell phones) are still operating, use them for emergency medical help, but not for frivolous conversations. Should you have a property loss resulting from an North Carolina earthquake, contact us to insure all the necessary steps are covered for the maximum settlement quickly to get you back on your feet again.